While it’s far too early to tell what actually happened, in light of EK521 it’s perhaps germane to re-visit a topic that I wrote about in my Procedures and Techniques document quite some time ago – the Rejected Landing. As a reminder – the text of that entry into my tome is below, along with Boeing’s paragraph from the FCTM. The Boeing text on this fairly unique maneuver is pretty quick and bland. In no way does it hint at the hands and feet going everywhere this exercise can become when it’s taught to pilots during their initial training onto the aircraft type. I recently completed training this exercise in the simulator to two new Captains transferring onto the 777, and as always I ensured each trainee had at least two goes at it; one to make the mistakes; one to learn and apply the lessons; sometimes a third to turn it into a maneuver that holds no mystery and less challenge. That’s both the beauty and the trap of the simulator. It’s actually quite a challenge to introduce this maneuver into a simulated training environment in such a way as to take the pilots under training by surprise. You’re not trying to do that in transition training anyway – the lesson plan in full is pre-briefed and the techniques and procedures that will be used in response to pre-programmed events discussed at length so that everyone involved can get the most from their time in this expensive device. But when it comes to training qualified line pilots – being able to instill?parameters into a developing situation on an approach that will lead to a genuinely surprising need for a rejected landing maneuver is actually quite challenging. But that’s exactly what you need. When it comes to rejected landing – no line pilot is going to get a couple of goes at it to get it right in the aircraft; and when it comes, the requirement to perform the maneuver well enough may be a complete surprise. A bounced landing in particular may well come off an unstable approach and therefore be a foreseeable incoming maneuver for the pilots concerned – but equally it can all go pear-shaped in the last 100 ft with wind and temperature shifts that take a slightly less aware pilot into the runway with some force – and probably back up again. Then you’re firmly in the potential rejected landing regime. In some ways – much like AAR214 it is often the case that the automation is not the reliable friend in this scenario that it usually is for the pilots. Once you’ve touched down the inherent automation paradigm is slowing down and stopping. 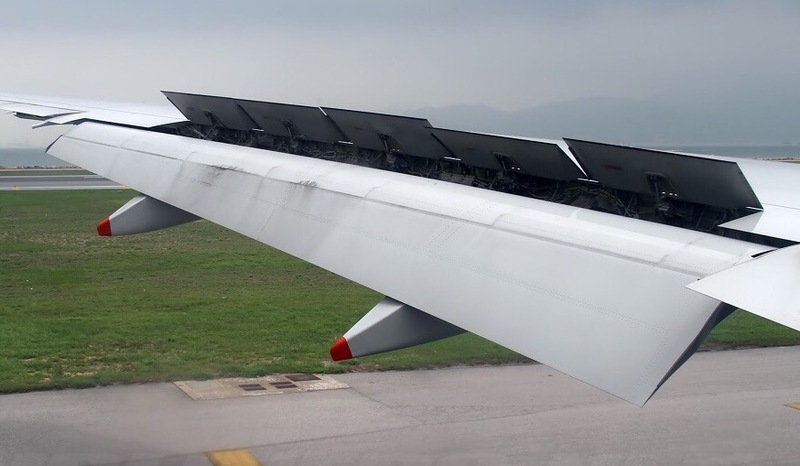 Given enough time on the ground (and?in fact, not all that much time) the spoilers deploy up off the wings to spoil lift and push the aircraft down onto the wheels, where the automatic braking is just about to kick in. The TO/GA switches which would have initiated a go-around (commanding a Pitch UP indication and an actual Thrust Increase) only a few seconds before; are now disabled until the aircraft registers airborne again. 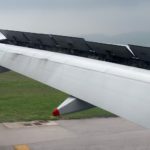 Thus the pilots who are heavily reliant on the relatively automatic response to the TO/GA switches may not get what they have been trained to expect by practice and preaching. But it’s still a Boeing. Push the thrust levers forward – and there will be thrust. Pull back on the controls – and the aircraft will pitch up if there’s any airspeed at all – even if there’s not quite enough airspeed yet; there’ll still be enough pitch up and start a pretty sprightly climb away from the ground. A rejected landing is a manoeuvre performed when crew decide to action a go-around after the aircraft has touched down. The reasons for this are few, but included in them would be a late landing with potentially insufficient runway to complete the landing roll safely. Note that this could occur after speed brake deployment, but prior to reverse thrust application. The application of the reversers commits the aircraft to the landing. 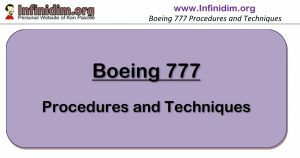 While the FCTM documents Go-Around after Touchdown, the following points should be noted about the Boeing procedure. After touchdown, the TOGA switches will be inhibited ? thrust application will be fully manual (maximum thrust should be used) and the flight directors will not give correct indications until the TOGA switches are used airborne. Be aware that the stabiliser trim may not be set correctly and control forces may be unusual during rotation. Speed brakes will stow and auto brakes will deactivate when the thrust levers are advanced sufficiently. A takeoff configuration warning is typically generated as the thrust is advanced with landing flap. Once airborne, the TOGA switches should be selected to provide normal FMA/Flight Director/Auto Throttle go-around.